..The launch of the Me2 Magazine THIRTY ONE: is finally here! On the cover is the stunning Puleng. A rare gem who I had the privilege of working with for a short time. Puleng has a sharp mind and a heart of gold. She is one of those women who has a real presence about her! 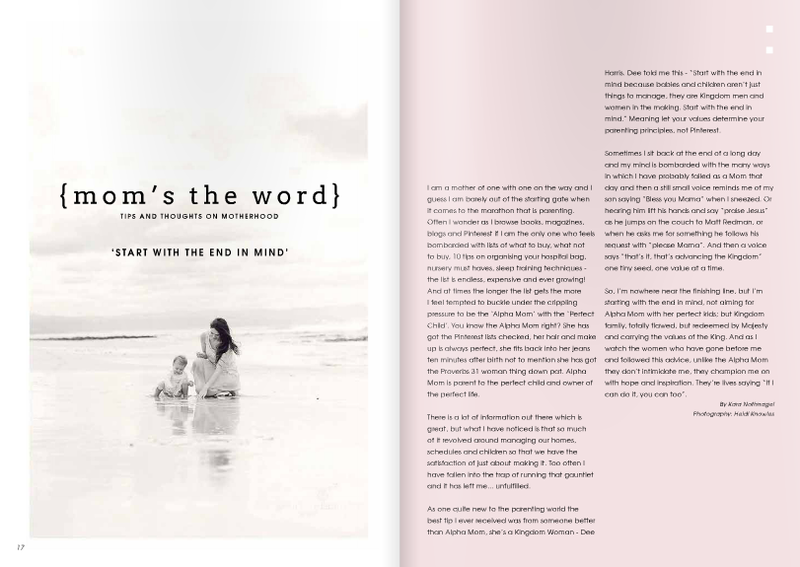 This magazine is full of beautiful articles and I am humbled to have a feature in this month's 'Mom's the Word' segment. I want to honour our beautiful Ps. Edna Els for pioneering Me2 mentoring and for birthing yet another incredible dream that is unlocking the desires of so many hearts. The vision of Me2 Mentoring is 'Being Transformed Through Relationships' and it is a lifestyle (not a program) that changed my entire way of being forever! If you want to know more about Me2 mentoring - the heart and the goal - then head over here. Click on any of the images to view your free copy online. We hope you enjoy this beautiful publication!